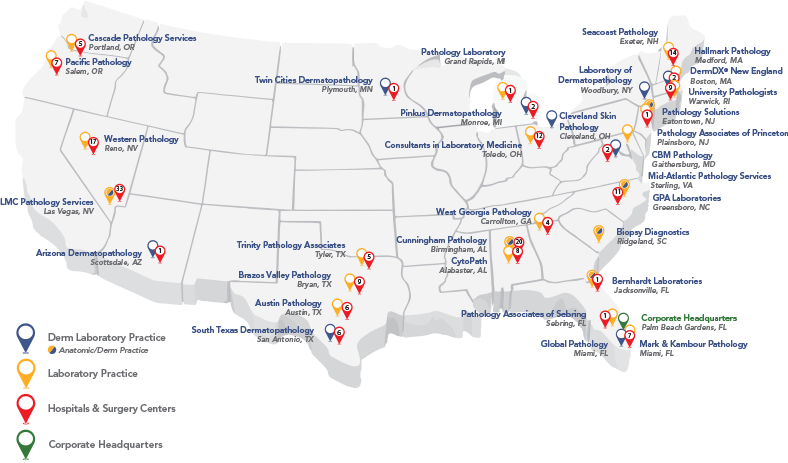 The hospitals we partner with benefit from our specialized pathologists across our geographic scale, along with our service diversification, corporate resources and capital resources to navigate the changing healthcare landscape. IN A REGIONAL GEOGRAPHIC SCALE. A SOLUTION TO MAXIMIZE RVU FTEs BY LIMITING COSTS WHILE PROVIDING SPECIALIZED PATHOLOGY. TECHNOLOGY AND PROFICIENCY TO SUPPORT COMPREHENSIVE INTEGRATED APPROACHES TO PATIENT CARE. •	Assume the histology function, allowing a reduction of hospital's costs, while increasing the quality and level of service. Aurora Research Institute (ARI) is focused on aligning and forming relationships between Aurora Diagnostic and global Pharmaceutical and Biotech companies that are in daily need of human biomaterials by participating in laboratory research. ARI provides opportunities for hospitals to take a cost center and turn it into a revenue stream because of our advances in leading the way in ethically providing tissue and blood samples to researchers, hospitals and independent labs. Our extensive QA/QC program provides our Hospital partners with regular audit and utilization reports to continuously improve patient outcomes, decrease adverse reactions, improve inventory control and reduce costs. With our broad scope of pathology services we eliminate the need to coordinate multiple reference labs. Our board certified pathologists are experienced in all subspecialties and facilitate internal consults. 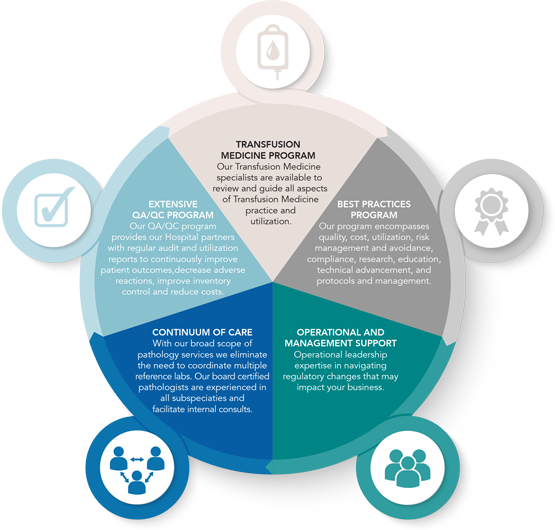 Our program encompasses quality, cost, utilization, risk management and avoidance, compliance, research, education, technical advancement and protocols and management. Our Transfusion Medicine specialists are available to review and guide all aspects of Transfusion Medicine practice and utilization. Operational leadership expertise in navigating regulatory changes that may impact your business.